During these cold, gray months in the Midwest, you might find yourself looking out of your office window and dreaming of a white sand beach. Why not take a trip to Cancun, Mexico? Located in Quintana Roo on the Yucatan Peninsula, Cancun is known for its gorgeous weather, breathtaking views of the Gulf of Mexico and Caribbean Sea, over 14 miles of beaches, and amazing snorkeling at The Great Maya Reef. It’s a literal “hot spot” for vacations, honeymoons, spring break, and destination weddings. If you’re thinking of jetting off to this one-of-a-kind spot, here’s what you need to know. You need a passport to visit Mexico. If you’re staying in Cancun for fewer than 120 days, you do not need a visa. It never hurts to register with the U.S. Embassy when you’re out of the country in case of a lost passport or an emergency. The contact information for the Consulate Agency in Cancun can be found here. There are no vaccination requirements for entry; however, the CDC does recommend being up-to-date on routine vaccinations and recommends a few others as well prior to your trip. That list can be found here. Mexico’s currency is the peso. Some resorts in Cancun will allow visitors to pay using American currency; however, if you go off of the resort, you’ll need pesos. Most major U.S. banks will have pesos you can exchange for dollars prior to your trip. Do this before you leave, as exchange rates can be incredibly high in the airport and at ATMs. Also, be aware of any hidden fees with your credit card before you go as well. The weather in Cancun is spectacular! Temperatures range between 68°F and 91°F throughout the year. 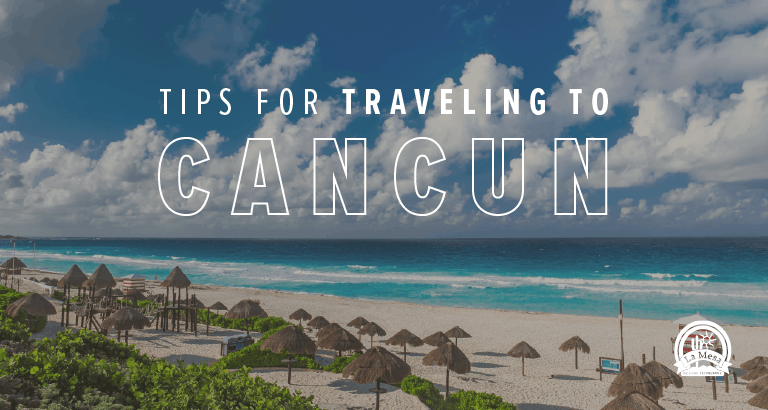 If you’re traveling to Cancun any time between the end of August and early November, be prepared for a bit more rainfall, as this is Cancun’s rainy season. Remember to drink only bottled water in Mexico! If you’re staying at a resort, the facility should provide purified water and ice. If you’re staying elsewhere, always remember to avoid tap water and ice. Bring a supply of Imodium and other OTC stomach ailment treatments in your carry-on just in case. Don’t forget your passport, your ID, and a health insurance card! It’s a good idea to make copies of these documents and leave them with family members at home in case they get lost. Obviously, you’ll want to bring your swimsuit and sandals. 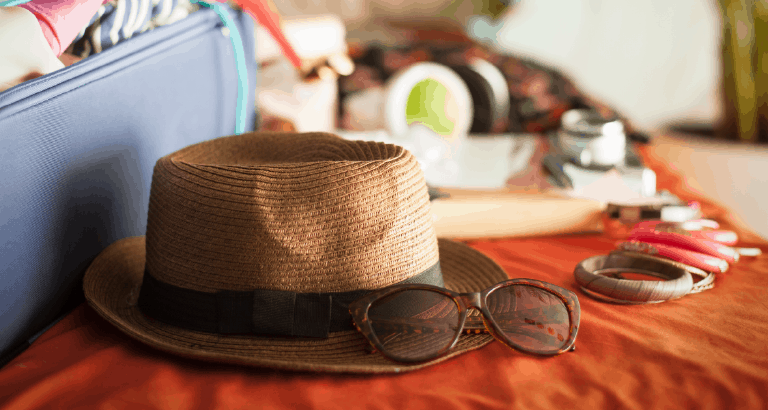 But you’ll also want to include casual clothing and a few dressy items, as restaurants on resorts sometimes have dress codes that don’t allow beach wear. If you plan to exercise, hike, or explore, you’ll want to bring athletic gear and tennis shoes. Because Cancun has a tropical climate, you need to protect your skin from sun and bugs. Bring sunscreen, sunglasses, a hat, and a DEET-based bug repellent spray. Among your toiletries, you’ll want to include some basic OTC medications and first-aid items like pain relievers, antacids, band-aids, and Neosporin for minor ailments. Most resorts will have convenience stores and first-aid clinics should you need anything else. Especially if you plan to bring electronic devices, be sure to pack chargers! Also, you may need to bring an adapter if you have three-prong electrical items or electrical items that use more than 110 volts. Newer hotels may have the two-prong outlets that are standard in the U.S., but if you’re staying in a private home or older hotel, it’s best to pack one, as they can be expensive to buy or rent. Set up your towel and beach chair, grab a drink, and literally unplug! One of the best things to do in Cancun is simply enjoy the gorgeous beaches and sounds of the ocean. But if you’re looking for something to do beyond lying in the sun all day, there are plenty of mini-adventures you can go on in Cancun! Restaurants are everywhere in the Zona Hotelera! La Destilera is one of the best Mexican restaurants in the area and is known for their seafood dishes, tacos, and salsa. Hacienda Sisal offers an extensive menu of Mexican and Caribbean favorites, including a food and wine pairing! 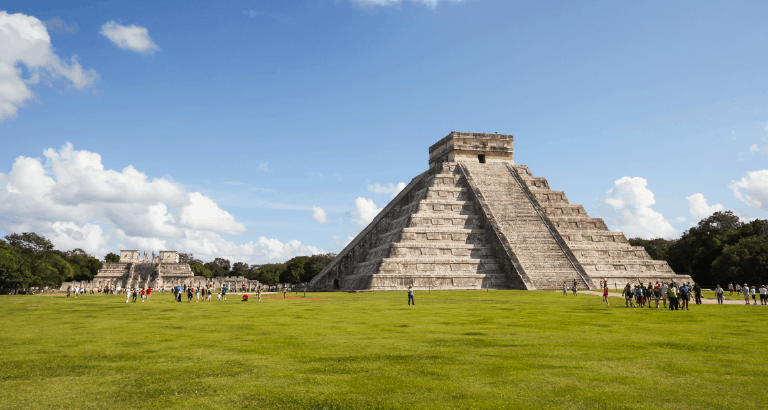 For a dose of history, make the trip inland to Chichen Itza. This ancient Mayan site is the second most visited archaeological site in Mexico and one of the Seven Wonders of the World! Cenotes around Cancun are a must-see! These amazing caves are underwater worlds of stalagmites and geographic marvels. Hauntingly beautiful, there are many snorkeling tours in and around the Mayan Riviera that will provide you with a one-of-a-kind vacation experience! Take a day to explore Isla Mujeres! This dreamy island translates to “women island” and is said to be where pirates would keep their women during their voyages. Complete with white sand beaches, underwater museums, and a sea turtle sanctuary, this island is worth the 20-minute ferry ride! The famous white sand on Cancun’s beaches is made from crushed coral and rarely gets hot, even in the sun. That’s perfect sand for bare feet! Cancun is responsible for a third of Mexico’s total tourism revenue! Until the 1960s, Cancun only had 1,000 residents. Today, it has more than 500,000. The local language is Spanish, but you may also hear Mayan being spoken among indigenous people. Mexican employees working in the resort and service industry can speak English as well. Cancun has the second busiest airport in Mexico with the most international visitors of any Latin American airport. Dreaming of a vacation? La Mesa Mexican Restaurant is giving away a FREE trip to Cancun for two at an all-inclusive resort for four days and three nights!